Watch us play Call of Cthulhu, LIVE, in 45 minutes! 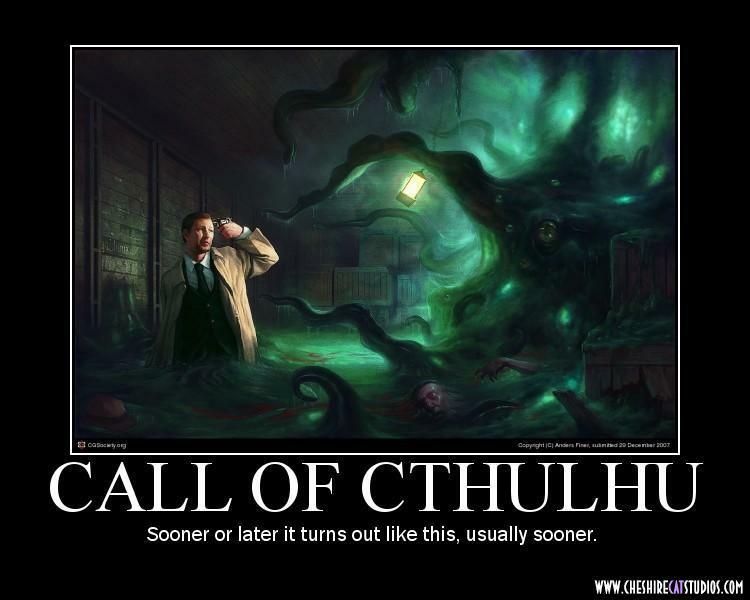 We now play Call of Cthulhu on Tuesday nights, in addition to Fridays. You can watch us LIVE tonight, at 8:00pm Eastern time (7pm Central, 5pm Pacific), at this link. It’s a lot of fun to watch us play, because when you watch live you can chime in with gameplay suggestions and interact with us on the Lovecraft eZine Message Board. Right now we are playing a Delta Green scenario, and Shane Ivey is our game-master. Click here for information on this scenario. If you can’t watch the game live, then subscribe to my Youtube channel and you’ll be able to view the recorded versions at any time in the future. See you in 45 minutes, at 8:00pm Eastern time — watch the LIVE game at this link (no sign-up required to watch). ← Print edition of “Lovecraft eZine” issue 29 now available!